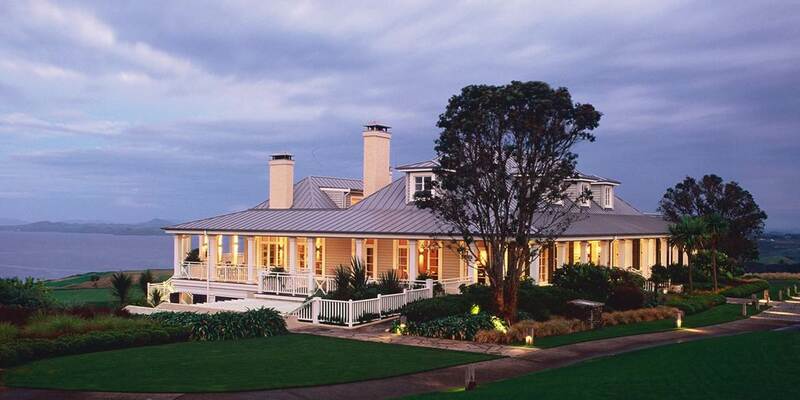 The Lodge at Kauri Cliffs is one of the most exclusive luxury estates in New Zealand. Situated on a 6000 acre hilltop plateau near Matauri Bay in the north island’s stunning Bay of Islands it commands 180 degree views across the Pacific Ocean which take in Cape Brett and the Cavalli Islands. 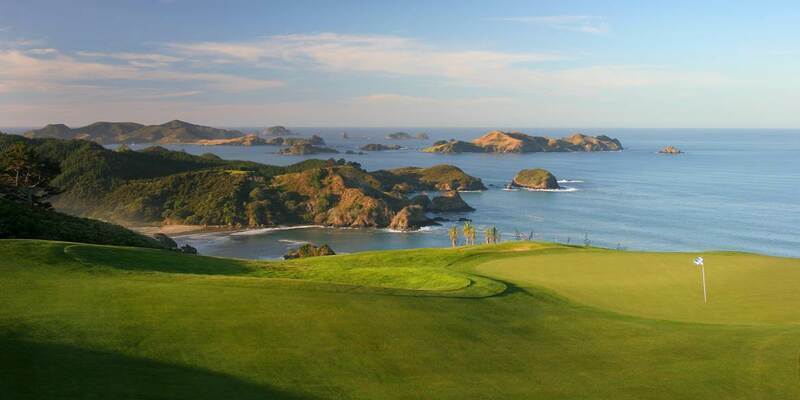 The 18 hole championship golf course at Kauri Cliffs has been voted on numerous occasions as one of the top 100 golf courses in the world with 15 of the 18 holes having views over the Pacific Ocean; 6 of these are played alongside the cliffs. It is not just about golf at Kauri Cliffs, in fact it is less about golf than the host of other experiences on offer in such a spectacular location. Kauri Cliffs is also a working farm and the farm manager is more than happy to take you on a guided trip around the farm explaining how the whole farm operates. There are 3 private beaches that can be booked for exclusive private barbecues (which come with one of their chefs to take care of your every need). 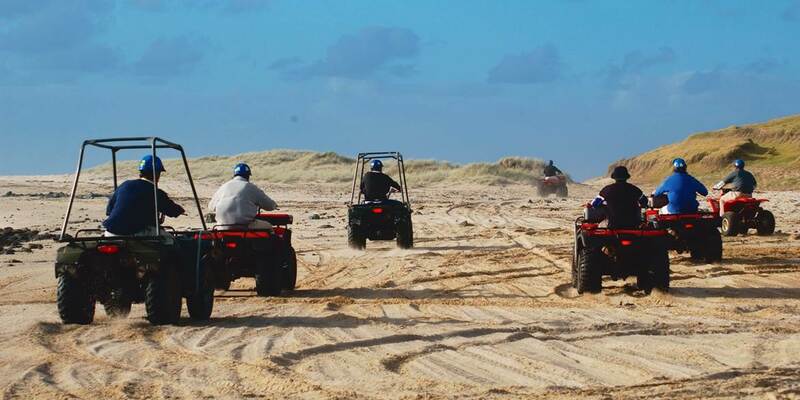 Other activities on offer at Kauri Cliffs are surfing, land-based fishing, guided bird watching, nature walks, horse riding and mountain biking. 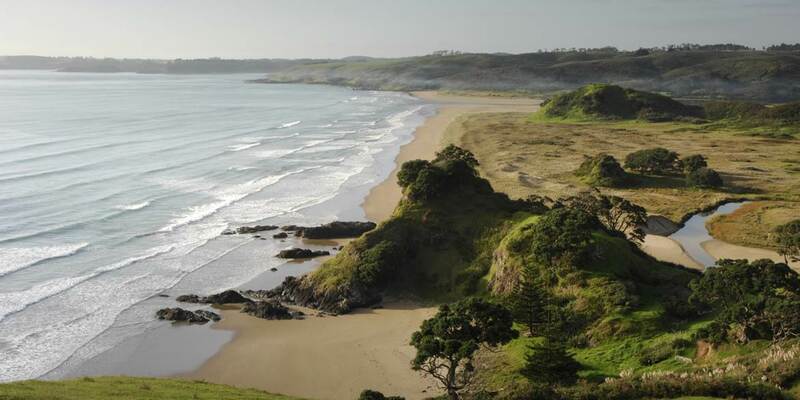 Guests may also experience a variety of nearby activities including world famous game fishing, scuba diving, snorkeling, sailing, sea kayaking and guided tours to the Ninety Mile Beach, Tane Mahuta, Doubtless Bay, the Puketi Kauri Forest, Rainbow Falls, historic Russell and the Waitangi Treaty House. 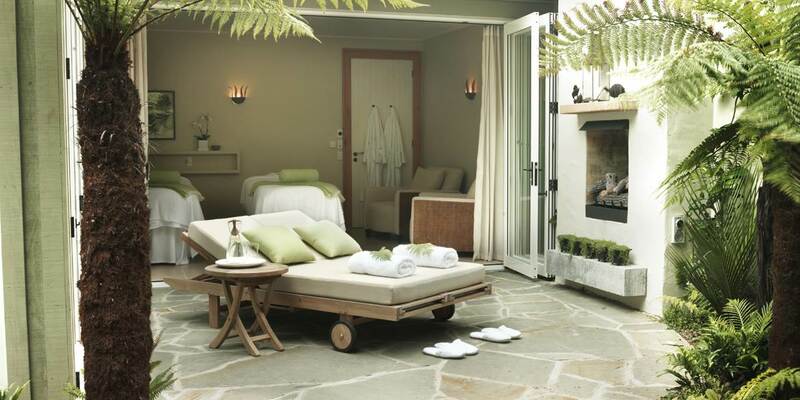 Facilities include two Astroturf tennis courts, an infinity swimming pool with spa and a fully equipped fitness centre. 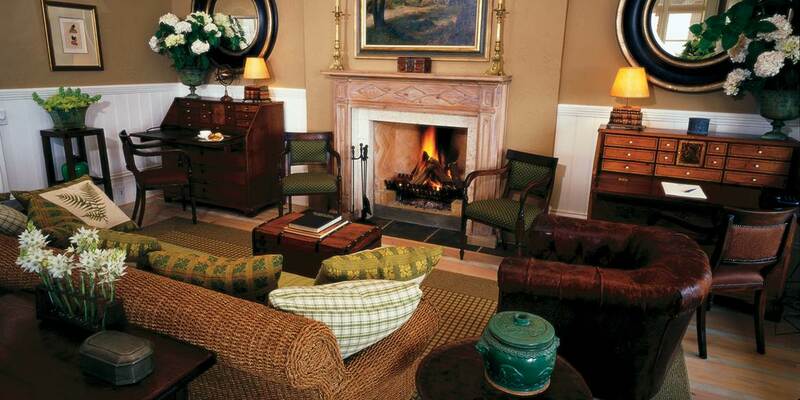 The Lodge accommodation has 22 guest suites spread across 11 cottages nestled in a native forest overlooking the golf course and the Pacific Ocean. 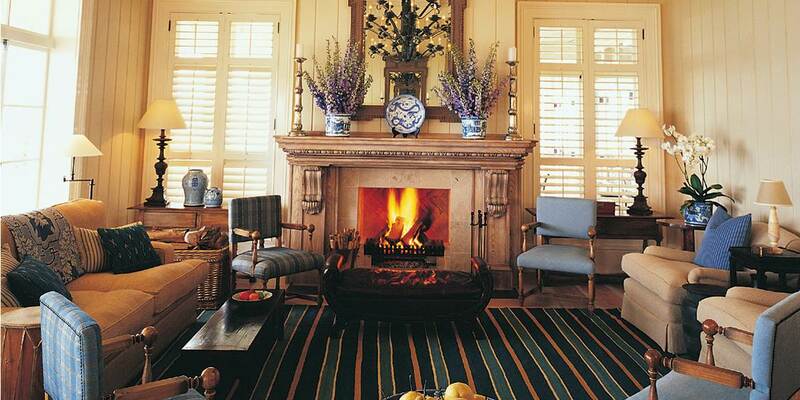 There is also a two bedroom Owner’s Cottage. 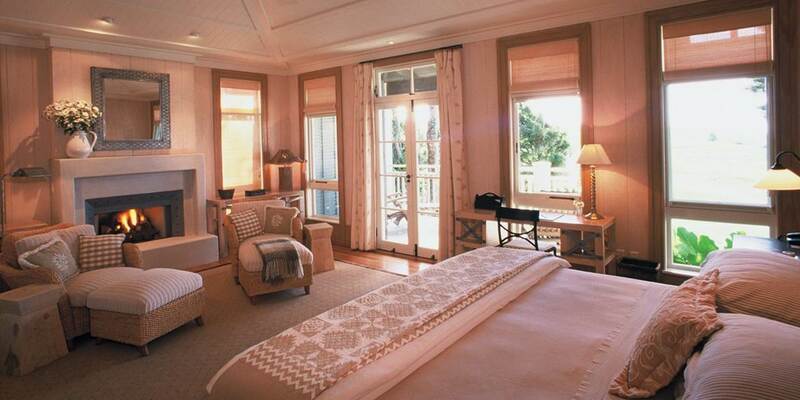 Every suite offers its own private porch, bedroom with sitting area and open fireplace, walk-in wardrobe and bathroom.